Fortnite VS PUBG! Which one to choose and why? This post is going to be a controversial one, so boost up your emotions as an India-Pakistan Cricket match because this is something exactly similar for all the gamers in the TechBurner family. Today we are going to talk about Fortnite and PUBG, to find out which game is better and in which sense. 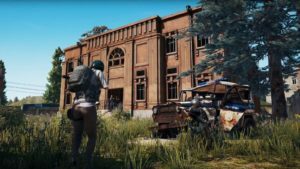 PlayerUnknown Battleground a.k.a PUBG has been on the top for a year now and almost every online streamers are streaming this game on the Internet as it comes in different versions for PC, Android, and iOS. Also, Fortnite comes with a similar story and was furiously promoted by the popular streamer called Ninja who has been in the headlines when he played this game with the world popular pop singer Drake. 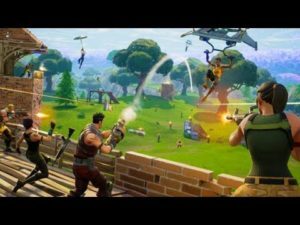 So you’ll notice they share some fundamentals, but through the slow adoption of the fort-building system and Epic’s constant barrage of updates, Fortnite has become a more fast-paced, experimental game since launch. Plucked straight from the PvE mode, Fortnite’s building system allows players to put up walls, floors, ceilings, and ramps as easily as aiming and shooting a rifle. As long as players smash enough trees, brick, and metal with their pickaxe, they can erect complex skyscrapers or deploy walls as mobile cover. Similar to Fortnite, a match in PUBG is a 100-man free for all over a massive expanse of terrain. Each round starts in a plane that flies over the map, allowing players some degree of choice in where they want to start. Once on the ground, you must scavenge for weapons and equipment to survive. After a few minutes, a lethal blue energy field begins closing on the map, effectively limiting the play area. If it comes to my interest, I’ll go with Tencent’s PUBG as it provides real looking graphics and an exact military feel while Fortnite takes it to the Wizard Land. Also, unlike PUBG, Fortnite is always played from the same third-person perspective. Building in first-person sounds like a nightmare. PUBG also shows great collaboration recently with the Mission Impossible Fallout providing different skins as Tom and other characters from the movie. 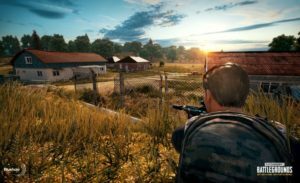 PUBG also has several custom game types in a separate server browser. Zombies pits a few human players who can loot against a horde of player-zombies who must work together to overwhelm them. War starts as a traditional deathmatch mode before ending in PUBG’s traditional battle royale mode. Now, If I suggest you on which one you should opt to play, it’s a tough question. As you can see, PUBG and Fortnite have significant differences and each has particular strengths. PUBG has map variety, while Fortnite’s single map can get quite boring after a while, though Epic is mitigating the issue through more frequent updates. On the flip side, Fortnite’s weapons and tools are inventive and wacky, whereas PUBGs arsenal is too cold to be exciting. Also, the report revealed Fortnite mobile, which is now available on mobile devices, makes it more than $1 million a day, while PUBG, which is available on both iOS and Android devices, brings in roughly $700,000 each day. Despite where your allegiances lie, both PUBG and Fortnite have become cultural phenomena, and it is up to you to decide which is better. Hope you like the article, please comment your views below and show some love to the TechBurner Fam. Previous articleWhy You Should NOT Pick Mi A2! Brothers! PUBG MOBILE is available almost on every device and now even potato mobile can run PUBG Lite. 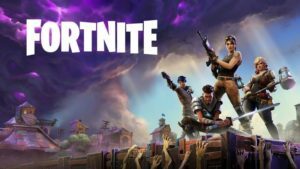 Whereas, FORTNITE is available on limited flagships mobiles as it is also little complex for some users to download the game from the website of EPIC GAMES in compare of PLAYSTORE which allows PUBG to be downloaded easily so decision of which is better can’t be taken by considering the amount of money both game’s made.